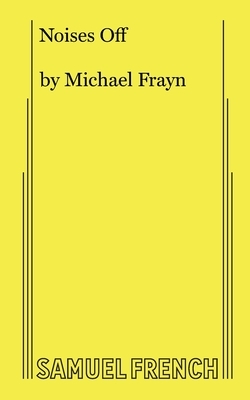 Noises Off (Paperback) | The Drama Book Shop, Inc. Farce / 5m, 4f / 2 Int. Called the funniest farce ever written, NOISES OFF returned to Broadway with Patti LuPone and Peter Gallagher and a manic menagerie that sent reviewers searching for new accolades as a cast of itinerant actors rehearsing a flop called NOTHING'S ON. "The most dexterously realized comedy ever about putting on a comedy. A spectacularly funny, peerless backstage farce. This dizzy, well-known romp is festival of delirium." - The New York Times "Bumper car brilliance...If.